Planning a holiday to Mozambique may pose one huge question for you: should we go for an all-inclusive package deal at a well-known hotel or should we settle for a comfortable self-catering villa? Do you want your holiday on the beach to be easy, adventurous and free of any time constraints and regulations? If you love to be free of any schedules and buffet choices or intimidating a la carte menus, choose the self-catering option. Outdoor barbeques, sunset drinks, breakfasts at midday – choose your daily schedules as you go. Self-catering accommodation in Mozambique is diverse and exciting – from the beautiful coastal venues with ocean horizon views to those offering city lights and harbour views, this holiday destination promises every traveller something special. The best way to start is in the North of Bilene, place of safe lagoon and open ocean – a family holiday destination not to be missed. Especially if you stay in Ngunghwa Lodge were bush trails, 15km of safe lagoon swimming and natural forests are waiting for you. Choose to stay in comfy 2-bedroom or 3-bedroom houses with shared kitchens and patios if you have eager children or book the honeymoon suite for its king size bed, complete privacy and luxury. Also, quite far north lies the glorious Xai-Xai Eco Beach Resort in Praia de Xai Xai, Gaza Province. Discover a safe private house with 24-hour guarding service, only footsteps from the beach. Enjoy 18 newly constructed spacious houses with open plan layouts featuring 3 bedrooms, 2 bathrooms (main en-suite), balconies, lounge-family rooms, kitchen-dining rooms, storerooms, verandas, and carports. Cell phone reception is available. 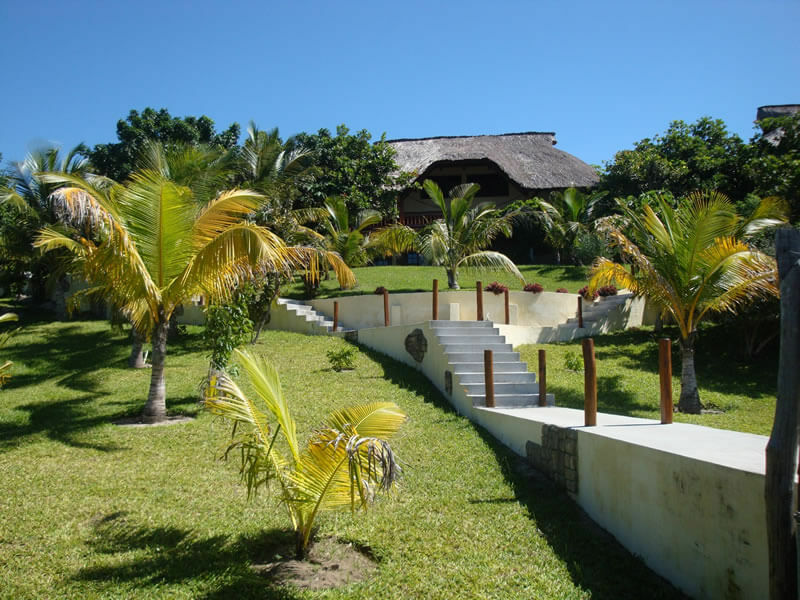 Moving further south, book a few days into the magical self-catering resort of Tenda Tora, a mere 180km from Maputo. Choose from 3 elegant 3-bedroomed chalets, 8 2-bedroomed chalets or a single one-bedroomed unit. Revel in wonderful facilities including private plunge pools, braai areas on sunny balconies, open-plan kitchens, dining rooms and living rooms with DSTV. When you don’t feel like cooking, head on down to the Saboroso Restaurant and Bar for their famous Saboroso hurricane cocktail and wholesome food. Get back into your 4×4 and cruise further down the picturesque Mozambique coast to Inhambane and if you are in a group, settle into the Group House at Bayview Lodge. Right on the Praia da Barra, this superior self-catering accommodation ensures you relax in fully serviced surrounds on the beach. Enjoy air-conditioning, fresh linen and bath towels daily, mosquito nets and tasteful décor. Honeymoon couples will love the one-bedroomed units for peace and privacy. Mozambique is known for its surfers’ paradise at Tofo Point, 22km from Inhambane. Take your family there on holiday and stay at the charming Casa Barry in delightful chalets boasting lounges, kitchens, bathrooms with showers, huge verandas and braai facilities. 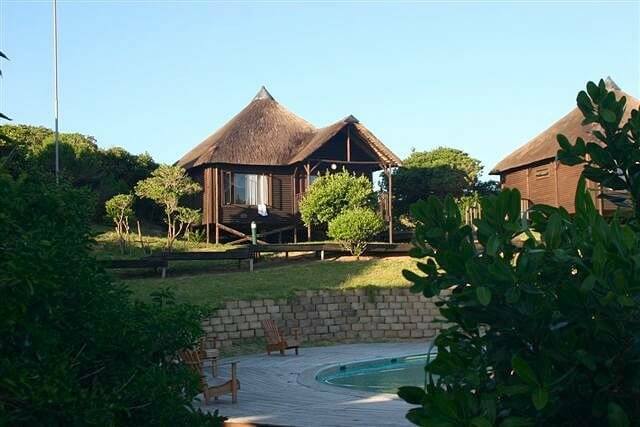 The thatched bungalows offer plenty of room in a choice of 2-bedroomed or 3-bedroomed units – or enjoy the single roomed units tucked away in the sand dunes, closer to nature. Another choice of intimate self-catering accommodation in Vilankulo is the quaint Casa Babi where 6 friendly dogs will accompany you on your daily beach walk. A fantastic boutique hotel in Mozambique where you are guaranteed personalised service in a home-away-from-home atmosphere. Stay in a deluxe sea view room with a private veranda from where you can watch whales lob tail and dolphins play in the waves. The Tucul is the ideal cottage for families who love to be away from the crowds – superbly placed in a lush garden, enjoy the self-catering vibe with great patio, fully-equipped kitchen, comfy lounge and 2 en-suite bedrooms with bath. Not far off lies more exclusive self-catering accommodation at Ebony Beach where 2 luxury villas each sleep 8 guests at one time. Booking the double story villa means access to 4 bedrooms, built entirely from indigenous materials and handcrafted timber. Private veranda with a swimming pool, panoramic sea views, king size beds downstairs and twin beds upstairs. The second single story villa also has direct beach access with four en-suite bedrooms and great for children. Both villas are self-catering units and have DSTV & tea and coffee making facilities. Selected upstairs bedrooms have personal balconies. 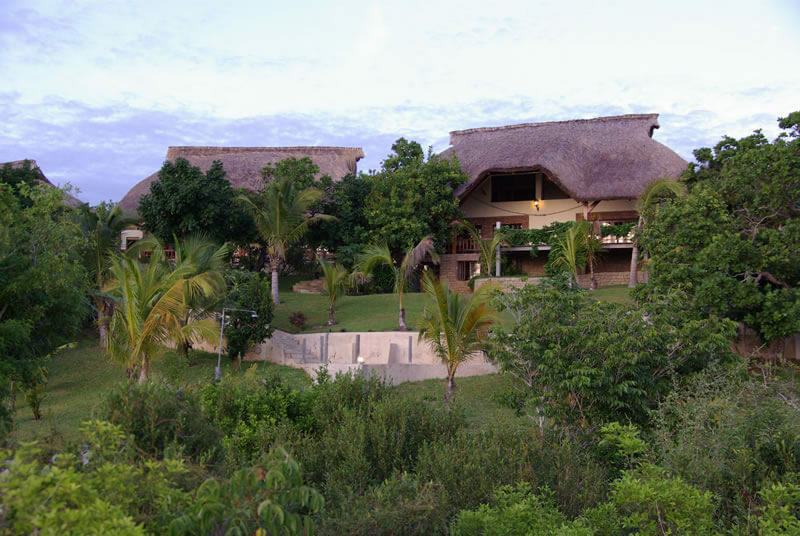 Wander around Ponto do Ouro and you will find the attractive Tri-M Wave Lodge, known as a pot of gold for families, couples and international travellers to Mozambique. Cook your own food then find time to chat at the pool bar with its lovely fireplace. Or enjoy a communal dinner at the gas braai and open pit braai area under the African stars. 10 self-catering units offer double beds in one bedroom, a second bedroom with 2 single beds, air-conditioning and fully serviced daily. Book your self-catering accommodation now.